Only a quarter of university students who are raped go on to report it, according to a new survey. The research suggests that almost half of women – 49% – say they have been touched inappropriately in comparison to 3% of men – but only 5% reported it. It also suggests more than half have experienced unwanted sexual behaviours from other students. In total 5,649 people took part in the student survey, conducted on behalf of sexual health charity Brook. There were 112 women and 18 men who said they had been raped at universities in the UK. 90% of all students felt confident to say “no” to unwanted sexual advances, however, of those that did not feel confident saying “no” to sexual advances, more than half said it was because they were afraid it would lead to violence. Only 52% know that it is not possible to give consent when you are drunk. Women were more likely to have experienced unwanted behaviours than men. It’s believed to be the largest survey of its kind. 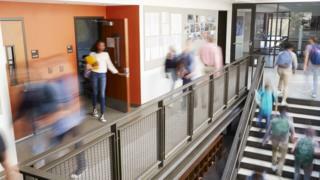 The charity is calling for better education in schools when it comes to consent as only half of those who responded to the survey say they were taught about it. Earlier this week the government announced new guidance on compulsory sexual health classes for pupils in England. The online survey was sent via the Dig In database to thousands of students across the UK, and 5,649 responses were received between 10 January and 18 January 2019.